One thing I loved about Heaney was the way that many of his poems reminded me of my favorite poems by Robert Frost. With both poets, I could find myself reading along and thinking: well, this is awfully concrete and traditional — stuff about rocks and fields and waves. Then, whammo! Suddenly, I would realize that the poem is actually about the meaning of life or the nature of the self or the ordering of the generations or something other profound church-like theme. It’s like walking across a familiar field and finding yourself on the edge of a deep well. Step 1: Clear your decks for a while. Step 2: On YouTube, call up this version of Heaney reading his own text. Step 3: Open the text so you can follow along as Heaney speaks. Step 4: Fall into a great poem. After that, enjoy these two Heaney poems, two of my favorites. 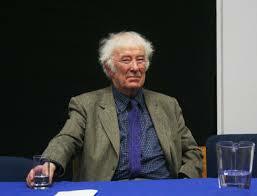 Then, leave a comment with your favorite Heaney poem, fragment, or remembrance.